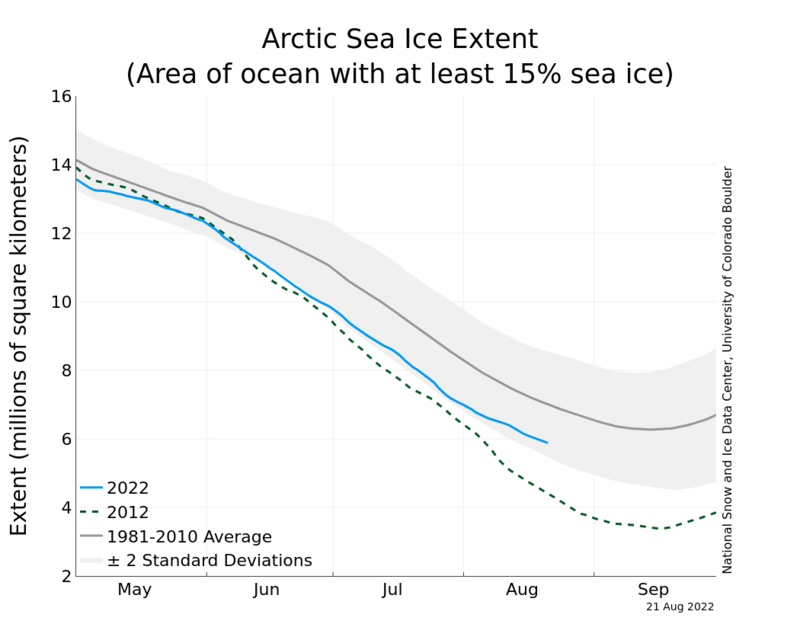 After ranking third during the annual September ice minimum, over October and November 2010 the Arctic sea ice extent did not recover especially well and is currenltly below the record melting year of 2007, NSIDC data shows. It’s not the first ‘in between melting record’ of this year. Also in June of 2010 the Arctic sea ice extent ducked under the 2007 line. Apart from the declining surface area, the remaining Arctic sea ice is also becoming thinner. We’ll stay awake. No problem. This entry was posted in Bits of Climate and tagged Arctic, climate record, ice, ice melting, melting, North Pole, NSIDC, record, sea ice, temperature record by Rolf Schuttenhelm. Bookmark the permalink.